Food: Know Your Portions- How Much Pasta Per Person? During Week 5 of the Love Food Hate Waste Lent Challenge we’re looking at food portions, and in this blog, pasta portions in particular. Pasta is one of my fail safe quick meals to fill the family. Dried pasta keeps really well which reduces food waste over buying fresh pasta. The frequent problem that I find is I always cook way too much meaning lots of leftovers and potential food waste. Therefore, one of my aims during this challenge was to perfect my portion sizes of pasta for our family. The guidance on the packaging suggests 75g per person. I measured this out so i could see what 75g of dried pasta looks like. A faster way for me to measure it each time |’m cooking will be to use my full cup measuring cup shown above. 75g of dried pasta, shown above in the kitchen scales and in the measuring cup really doesn’t look like a lot. I decided to cook one portion to check if this would really be enough for one adult. Here is the amount of cooked pasta (show in the blue bowl) that 75g of dried pasta makes- no wonder I’ve been cooking too much. I know it expands and there is more of it when cooked but I’m still surprised that the small portion makes such a decent sized meal of cooked pasta. This is what it looks like on a plate, confirming that 75g (1 cup) of pasta is definitely enough pasta for me, especially once you add the sauce and vegetables. A bowl of salad and garlic bread can be accompanying sides too (not forgetting a sprinkle of grated vegan cheese) making this a decent meal. The suggested portion size for children is 40g of dried pasta. Since this experiment I now cook 4 cups of pasta for a family meal (there are 6 of us- 2 adults and 4 children). If cooking for 1 child use a filled half cup. Next, I need to perfect my family portions of rice! How do you portion your servings of pasta for your family? 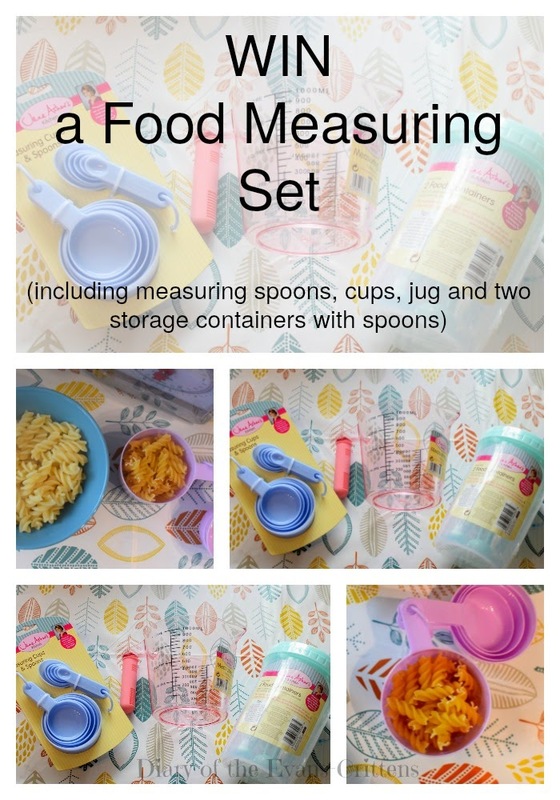 For a chance to win this pretty pastel food measuring set to help you measure your portion sixes then enter via the Rafflecopter below- good luck! Remember to sign up to the Love Food Hate Waste Challenge for more daily tips to help you #giveupbinningfood . With pasta I put in a handful per person, then an extra one for the pan! Not very scientific!